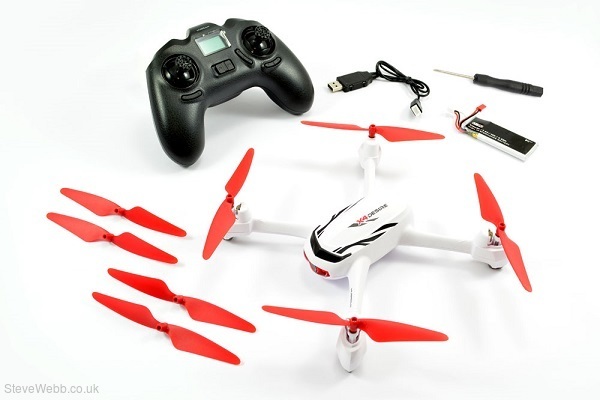 The H502E is Hubsans latest X4 Quadcopter and features a built-in 720P HD camera, return to home mode, built in GPS, altitude adjust and a headless flight mode to make the quad even easier to fly. 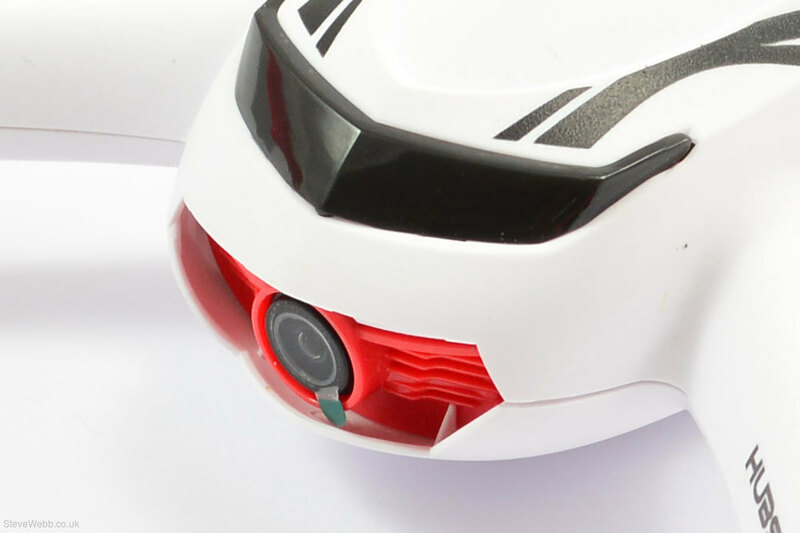 The built-in GPS enables the quadcopter to enter into failsafe mode if the connection to the radio transmitter is lost, or even be called back at the push of a button. The multi-function transmitter features all the usual commands from the touch of a button with conveniently placed buttons for RTH and camera/video functions making this quad a pleasure to fly. What sets the H502E apart from its rivals is its impressive array of features. The 720P HD camera allows for some stunning aerial photography and videos coupled with the altitude height mode it can give flight times up to 12 minutes. The Hubsan H502E features a headless flight mode which makes flying easy and makes the H502E even easier to fly for beginners and more experienced pilots. (This is activated by pressing the Throttle/Rudder stick down for 0.5second in mode two, or the Elevator/Rudder stick down for 0.5second in mode one. The headless mode will be indicated on the handset). The Hubsan H502E features a 720P HD Camera, which can record stunning aerial high-definition flight videos and pictures. 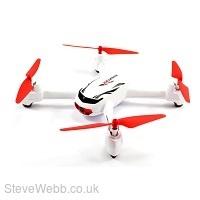 The Hubsan H502E features built-in GPS which enables the quadcopter to enter into a failsafe mode if the connection to the radio transmitter is lost. In failsafe mode, the flight control system will automatically control the quadcopter and bring it back to the Return To Home point and land. The Return To Home function can also be enabled directly from the transmitter, this will automatically bring the quadcopter to the Home point and land safely. The Transmitter features conveniently placed switches and buttons on the front face of the transmitter for Return To Home and Camera/Video functions.